Based on the true story of the greatest treasure hunt in history, The Monuments Men is an action drama focusing on seven over-the-hill, out-of-shape museum directors, artists, architects, curators, and art historians who went to the front lines of WWII to rescue the world’s artistic masterpieces from Nazi thieves and return them to their rightful owners. With the art hidden behind enemy lines, how could these guys hope to succeed? 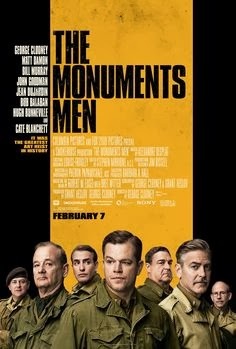 But as the Monuments Men found themselves in a race against time to avoid the destruction of 1000 years of culture, they would risk their lives to protect and defend mankind’s greatest achievements. Enter to win a Tshirt and Movie Poster from The Monuments Men! I doubt I will see it in theaters....we just don't go much, but we rent a lot. With that cast, I can't wait to see it. Theaters are a bit too expensive, but I do plan on seeing this movie once it's available to buy or rent. 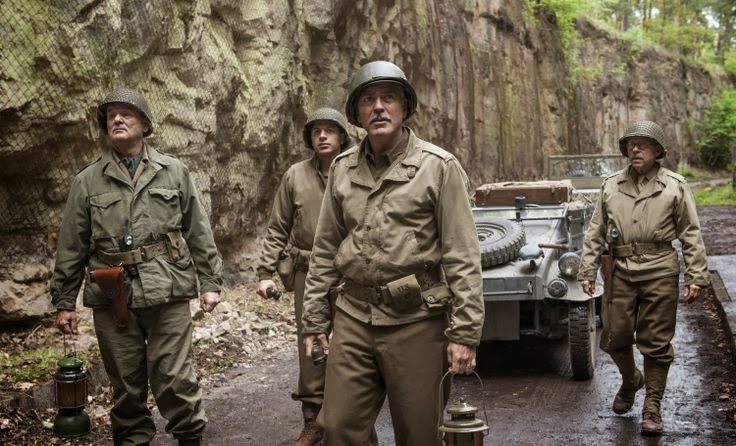 The cast looks great and I enjoy history/war movies. Not in theaters but I would definatly like to see it. That it involves art, and the cast is amazing. I would like to see it! I love how it is a true story, it makes it even more fascinating. I will watch this movie when it comes on Netflix. I will probably be renting it or waiting for it to come out on Netflix and l like the historical element & the cast.